If you are a surfer, you probably have heard about Siargao Island. This idyllic paradise is known as the Surfing Capital of the Philippines, but do you know that it is also a great place for non-surfers? Foreigners normally plan to stay for a short time in Siargao but they mostly end up staying longer or living there permanently after falling in love with the laid back atmosphere, stunning coastlines, spectacular sunsets and lovely people. 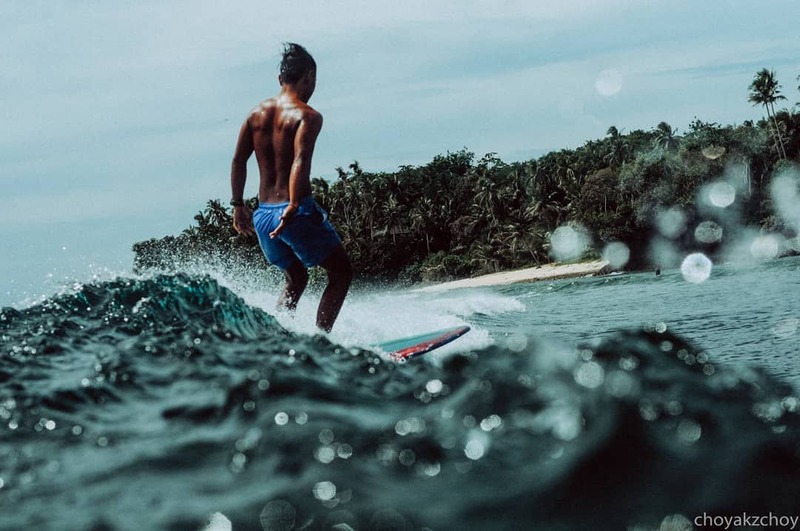 Siargao Island is on every Filipino’s travel bucket list but still relatively unknown to international tourists, this island is packed with natural wonders that both surfers and non-surfers alike will totally love to explore. Whether it is your first time or not, it is always helpful to know a little bit more about the place to ensure that you have a great experience all through out and this is where this post comes into play. Before anything else, I would like to warn you that this piece of paradise is so addictive. Siargao is all about simplicity and purity. It is not crowded with mass tourists. There are no “tourist trap” restaurants and establishments, no sleazy shops, and no crowded lagoons. There are no beach parties until the wee hours of the morning and no annoying vendors tailing you behind. Life is simple in this part of the world. 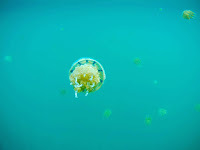 If you are a nature lover, you will surely thrive on this island. Many people have left but they just kept coming back for more. The very reason that puts Siargao in the spotlight is its world-class surfing spots. It is the main attraction in the area. Surfers from around the world flock to this island to sample the waves which are very good all year round although the peak season is from June to December. Tip: International and National Surfing competitions are held in Siargao every last week of September so if you want to participate in the competitions you need to book in advance as it tends to get really busy during the high season. So what kind of 🌊 waves 🌊 can surfers expect in Siargao? Cloud Nine: This is the star of all the waves and the reason why Siargao is on the world-surfing map. Cloud nines are perfect, top to bottom barreling peaks. These waves have a solid A frame peak that barrels left and right and a hollowed curve. It is often short but excellent when the conditions are perfect. Only the most experienced, nimble and confident surfers can ride it. Quiksilver and Jacking Horse: Perfect for beginners, these waves are known for their speed and mainly form a right-hander. Occasional left-hander hit up during mid-high tide. Tuason Point: The best left-hander on the island and certainly for experienced surfers only. It is a very powerful wave that breaks over a shallow reef. It only starts at 3 feet so best during high tide. Tip: If you are a beginner or would like to learn surfing, there are licensed surfing instructors in Siargao that you can employ for only PhP 500 per hour and that includes the use of a surfboard. If you are planning to rent a surfboard for a whole week or a month, you are entitled to a discount or better yet buy yourself a pre-owned surfboard for a cheap price if you plan to stay on the island. Don’t pay in advance to avoid being scammed. If you want to see the most of Siargao, rent a motorbike and explore off-the-beaten paths. 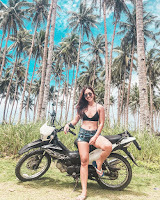 Motorbikes can be rented for PhP 350 to PhP 500 per day but if you plan to stay and use the bike for a few weeks or months, you will be given a discounted price. Most of the roads are paved and most touristy places are easily accessible but if you really want a taste of the real adventure and rural life, just follow the rough roads and see where it will lead you. You might find secret spots like a virgin cove or a secluded waterfalls or a cave. Siargao has 48 smaller islands perfect for island hopping. If you are a non-surfer, this is going to be your favorite activity on the island. Boat rentals start from PhP 1,500 and can accommodate 6 to 8 people so for that price you can easily share it with others or you can rent it for yourself. Naked Island: Nope, it doesn’t have naked people. Swimming naked when other people are around is not tolerated either. Siargao is in the Muslim area of the country so the people are conservative. 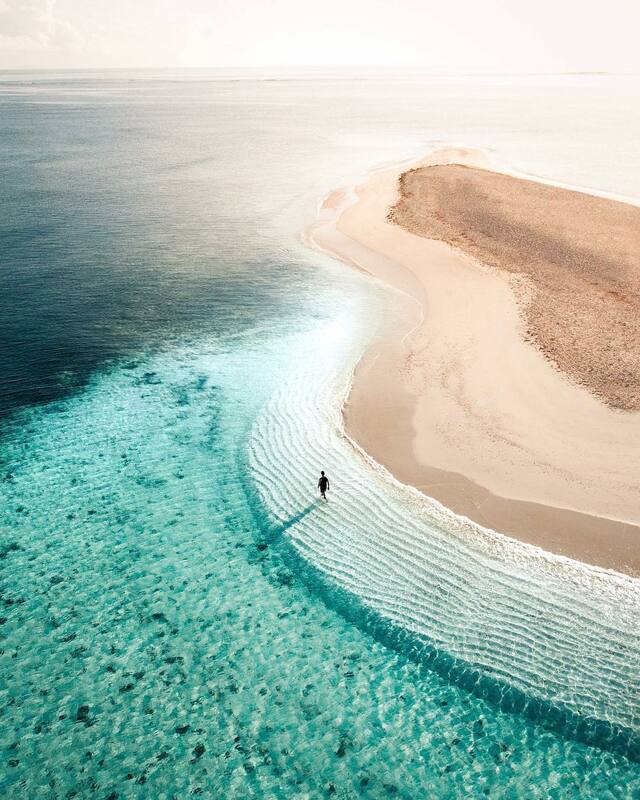 Naked Island is a small white sandbar surrounded with clear turquoise waters. Tip: There’s only one tour operator in Siargao offering tours with a private speedboat, otherwise you’ll have to book the pumpboat tour. While cheaper, it’s also much more noisy and less comfortable. Guyam Island: Small Island with white powdery sands and clear bluest waters. Here, you can find loads of shade from coconut and palm trees. Daku Island: Looks very similar to Guyam but a bit bigger. Here, some beach bummers stay for the night and rent some beach huts. There is no electricity on the islands. Tip: The absence of electricity on the island makes it perfect for star-gazing. If you want to marvel at the stars and get a clear shot of the Milky Way galaxy in a distance, this is the perfect place to do it. The entrance to the cove is a cave which can only be accessed during low tide. This cove is famous for the stingless jellyfish and you can safely swim with them. To get to Sohoton Cove, you will have to brave 45 minutes on a speed boat to the Bucas Grande Group of Islands. The journey from the take-off point in Del Carmen to the lagoon is epic. The 60-minute boat ride through the mangroves, into the sea and into the lagoon itself is breathtaking. You can have lunch here and request for the fresh catch of the day and you will enjoy the best and freshest seafood ever. From General Luna, ride your motorbike north bound and after an hour or so, you will arrive at the tidal pools. It is invisible during high tide but when the tide is out, the beautiful blue-green pools appear where you can swim, relax and snorkel. The water gets trapped into the holes on the cliff and the rocks that form these crystal clear swimming pools. Siargao Island is in Mindanao – 800 kilometers southeast of Manila. The only way to go there is via Cebu Pacific and Skyjet. Skyjet offers direct flights daily from Manila to Sayak Airport in Siargao. Cebu Pacific flies from Cebu to Sayak Airport daily. Tip: There are many accommodations for all budget in General Luna and this is where most of the tourists stay in Siargao as it is close to everything like restaurants, bars and tourist places.